Who says you can't play with your food and eat it too? These idlis really know how to "chill" out and soak in the flavor! Can't wait to pop 'em in my mouth! 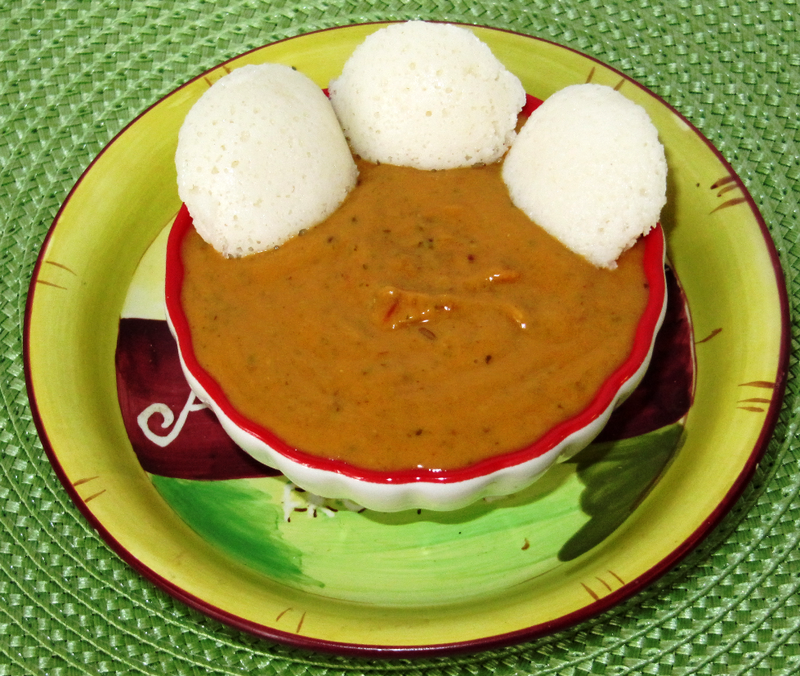 One of my favorite South Indian dishes is Idlis. They are savory steamed cakes made with husked black gram and rice. You'll never find idlis without the accompaniment of the chutney powder and/or sambhar. However lately, I've been craving for something different; that's not traditional and doesn't require a lot of preparation. 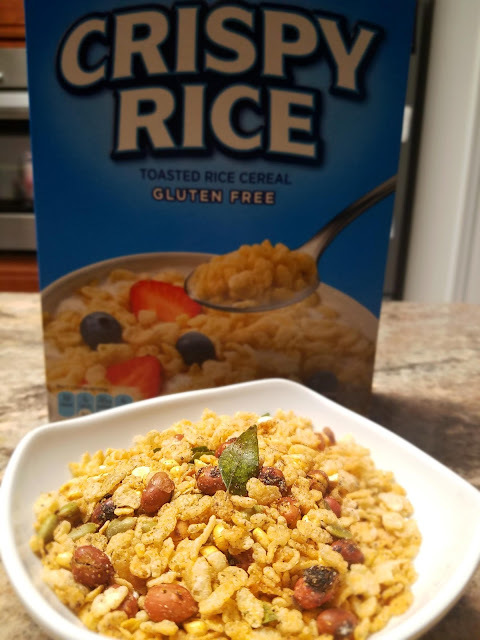 We experimented with a few ingredients and came up with another option. It's called Tangy Tomato Chutney and it's also a great dipping sauce for vadas, dosas, garelu (mini lentil patties) and even paratha. Heat oil in a saucepan and add mustard and cumin seeds. When they splutter, add green chilies and mix well for a minute. Add chopped tomatoes, salt, brown sugar and mix well. Cook them under closed lid for 5 to 6 minutes and let the mixture cool for 5 to 10 minutes. Then blend the cooked vegetables along with peanut butter under pulse mode to making sure all ingredients are mixed well. Once it reaches a smooth consistency, transfer the sauce into a serving dish and enjoy with your favorite dish.